Czech tennis player who won the boys' doubles title at the 2010 Youth Olympic Games. The next year, he became the top-ranked junior player in the world, winning both the singles and doubles titles at the Australian Open. He was born in Pribram, Czech Republic and turned professional in 2009. At 20 years and 3 months old, he was the youngest player ranked in the world top 100 in 2013. His father is a tennis coach. He has sisters named Aneta and Natalie. 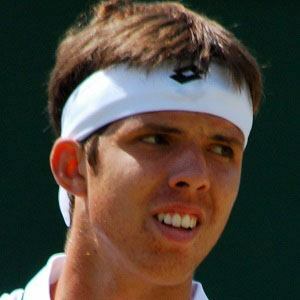 He defeated Gael Monfils at Wimbledon in 2014.